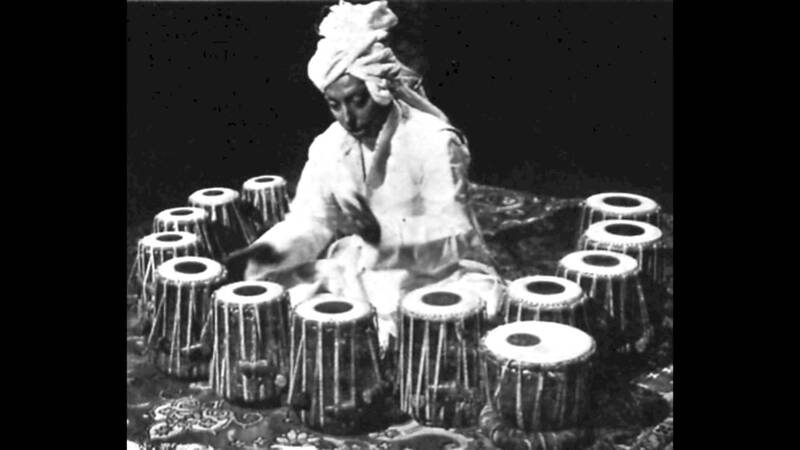 The tabla tarang is a melodic percussion instrument consisting of between ten and sixteen tuned dayan drums. In a tabla “pair” instrument, the dayan is the treble drum and the bayan is the bass drum. Tarang means “waves”. By hitting with the hand at the center of the different dayan drums – known as syahi – notes of different pitches are produced like a bell ringing. The player is able to perform melodies based on several ragas.